Surfing around the net for a new cake recipe to try, I found this one by Jill Dupleix (quoting someone else!). Jill is the food writer in delicious magazine so I knew it would be reliable. My colleagues loved it (so they tell me), as it was very light and fluffy. It takes a bit of elbow grease to cream the WHOLE BLOCK of butter with the sugar (I halved the recipe), but the result is a cake with a good crumb, not too oily and an awesome orange flavour from the rind. I actually baked it in a kuglelhoph tin, and let the icing drizzle down the sides. I also put some orange zest through the icing also. 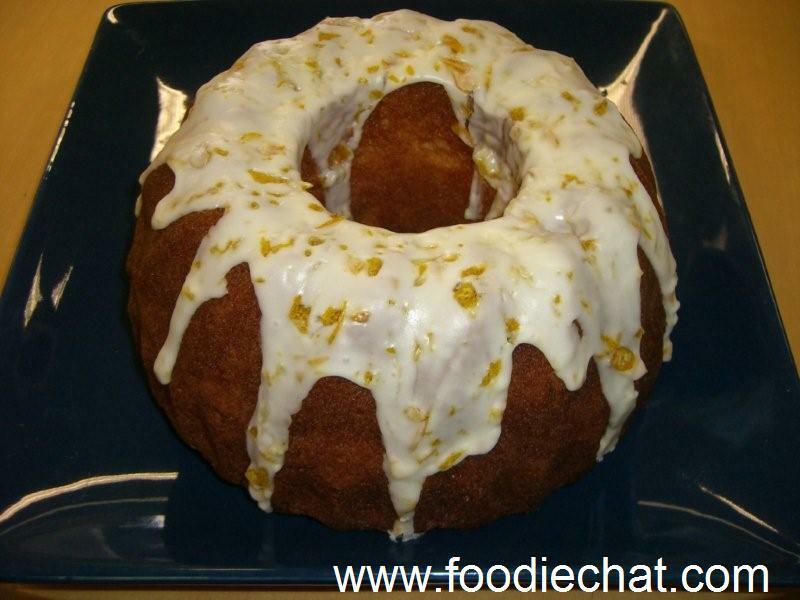 You are currently browsing the FoodieChat weblog archives for May, 2008.